Purchase to earn 139 Points! 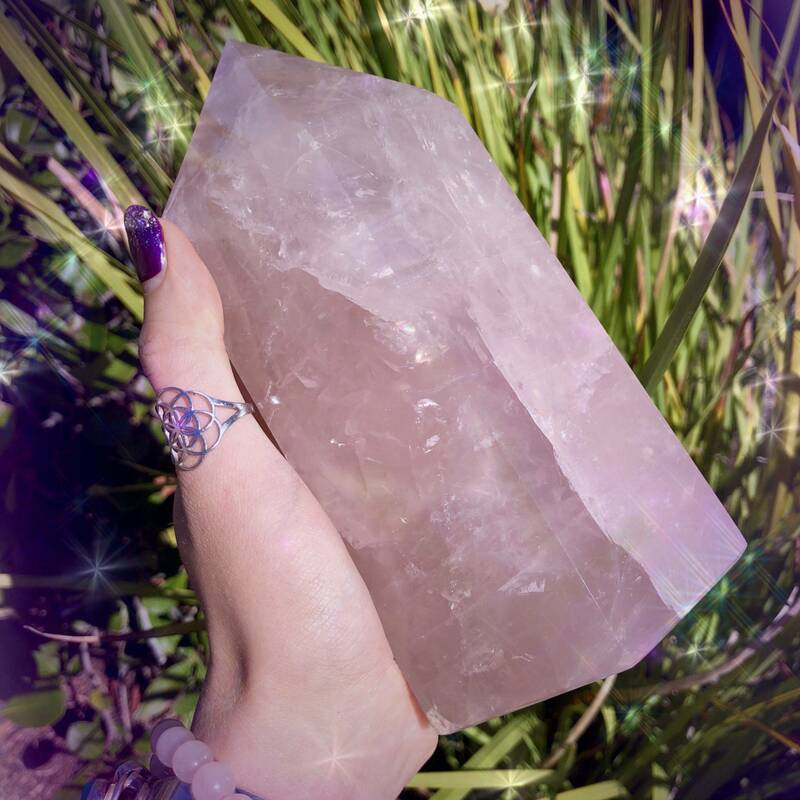 I’m in love with these huge rose quartz generators. 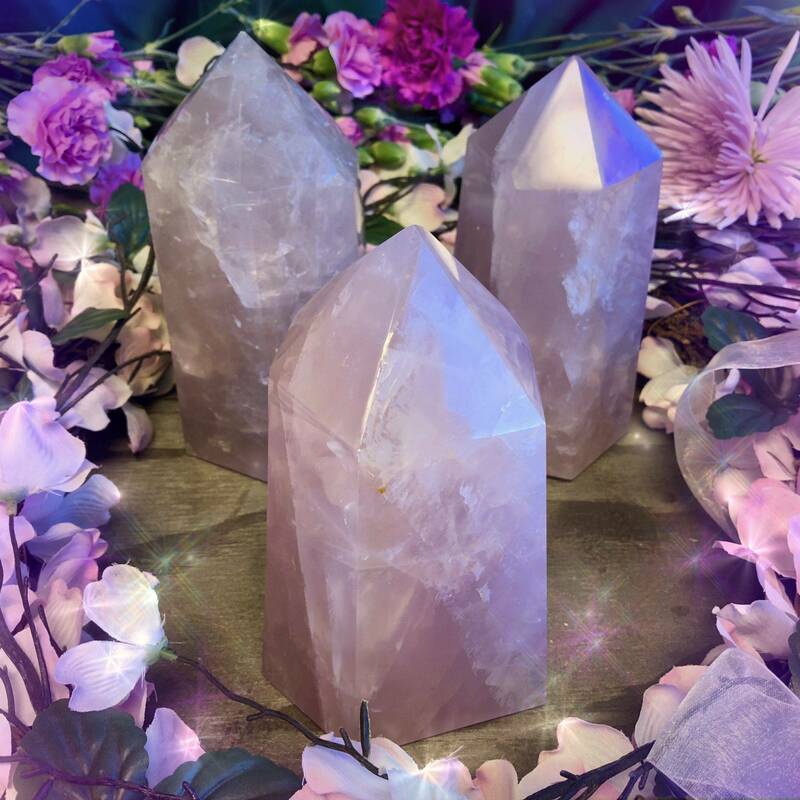 You can use them as the centerpieces of love-attracting crystal grids, place them on your altar, or keep one by your bedside to bring love and romance into your space. Rose quartz is a gem I work with almost every day, and once you experience the power of these generators, you’ll understand why. Rose quartz generators are hard to find. It took me many months to source these for you, because the quality had to be just perfect. 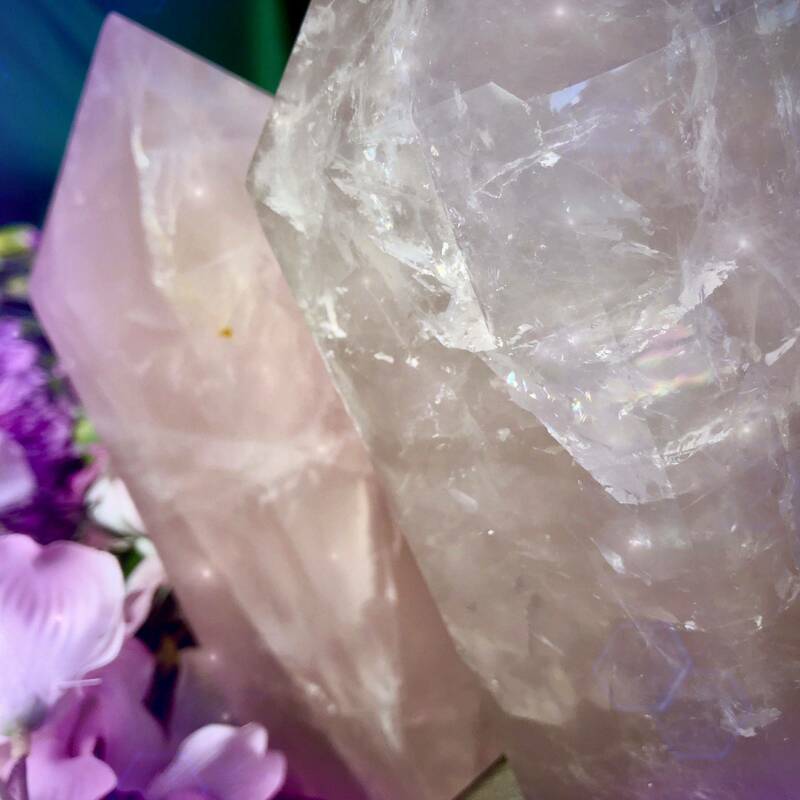 These are untreated, huge rose quartz generators, cut and polished to perfection, with the translucency and beauty you expect from the pieces I offer. Each generator is also anointed with my Astral Lovers Perfume, for a burst of potent sexual energy. Generators are powerful magical tools. They raise the vibration of the stones and items around them. These tools gather energy and send it right back to Source. They also receive Source energy and project it outwards, for a beautiful balance of give and take. Rose quartz is a stone of Universal Love energy. It probably won’t surprise you, but rose quartz is one of the most sought-after varieties of quartz in the entire world. 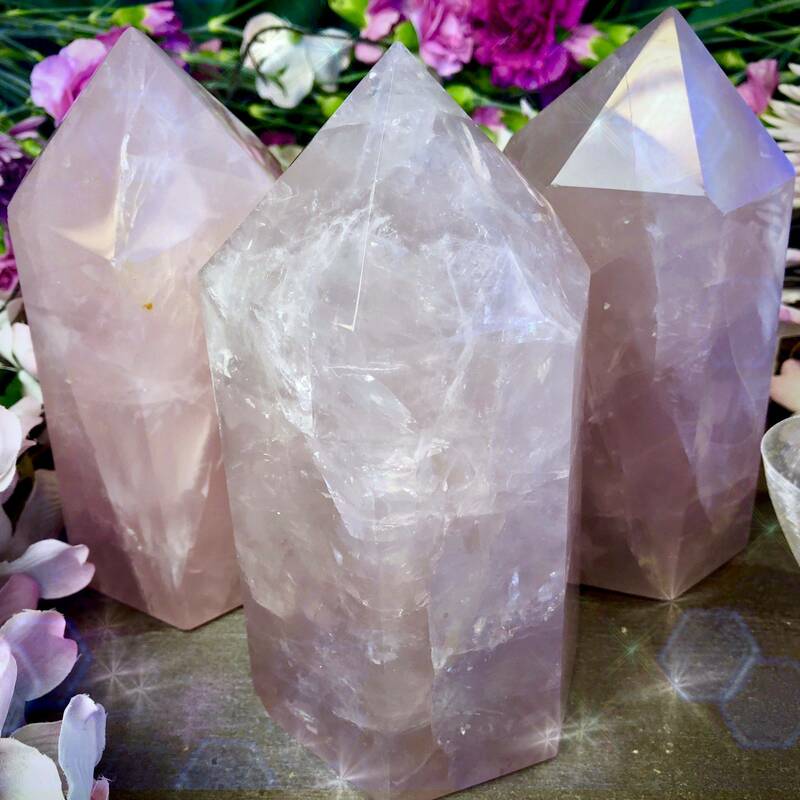 Working with one of these rose quartz generators will gently open your Heart Chakra, bring healing to your heart space, and allow for natural, flowing communication. Your generator will be anointed with my Astral Lovers Perfume, the perfect blend for infusing your life with passion and intimacy – seriously, this fragrance feels like an out of body experience. In truth, these items go together like chocolate and strawberries, giving your romantic side the sensual wake-up call it needs to attract more powerful physical and spiritual love. This listing is for one (1) huge rose quartz generator (about 6-7”). Please use the drop-down menu above to choose the offering you feel called to. Yours will arrive lovingly parceled along with a single leaf of white sage and a card describing the properties of the stone.